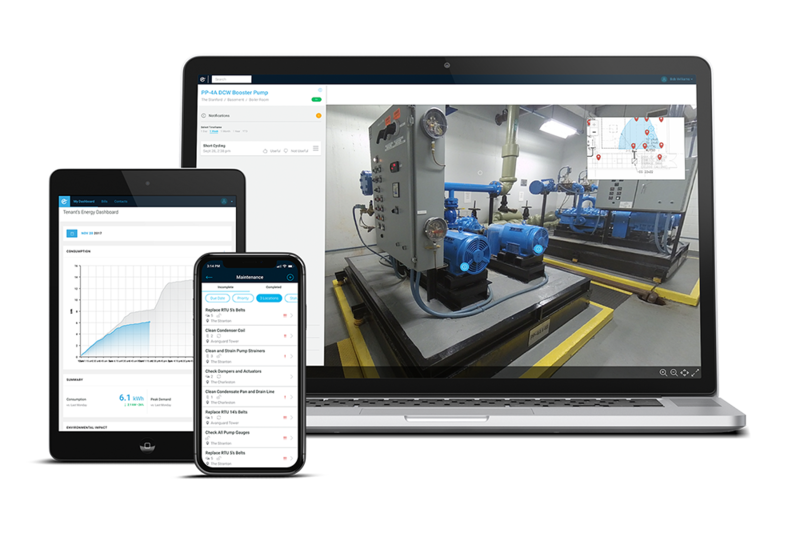 Enertiv collects better data, fast and affordably, to enable commercial real estate operators to streamline their building operations and eliminate waste. We have seen an average five-year ROI of 350%. Gain full transparency into everything that is happening in your portfolio. We are backed by leading real estate technology VCs including Fifth Wall and MetaProp. The first solution to embed real-time data into 3D visualizations for commercial real estate operations. Optimize maintenance schedules based on runtime hours and verify task completion. Perform maintenance based on actual operating conditions. Real-time and predictive fault detection dramatically reduces equipment downtime. Automate the entire submetering process, from meter readings to bill generation and tracking. Improve efficiency with low and no-cost optimizations and streamline energy-related paperwork. Comparative performance ratings enable more data-driven decisions to smooth out yearly investments. Build a foundation of data to unlock additional services and revenue streams. Data will be the next competitive differentiator. Start your digital transformation today!